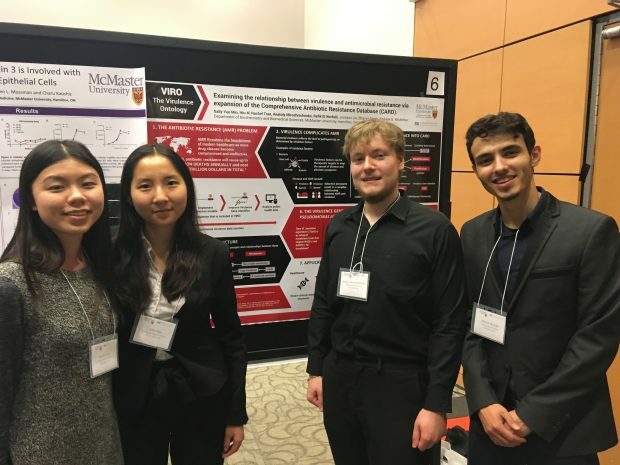 November 7, 2018; Hamilton, Ontario, Canada; The 9th annual McMaster Innovation Showcase, with focus on biomedical technologies, highlights the role and impact of McMaster research in shaping the future of healthcare. Hosted by the McMaster Industry Liaison Office (MILO) – supporting innovation, commercialization and community engagement. Photo by Ron Scheffler for McMaster University. 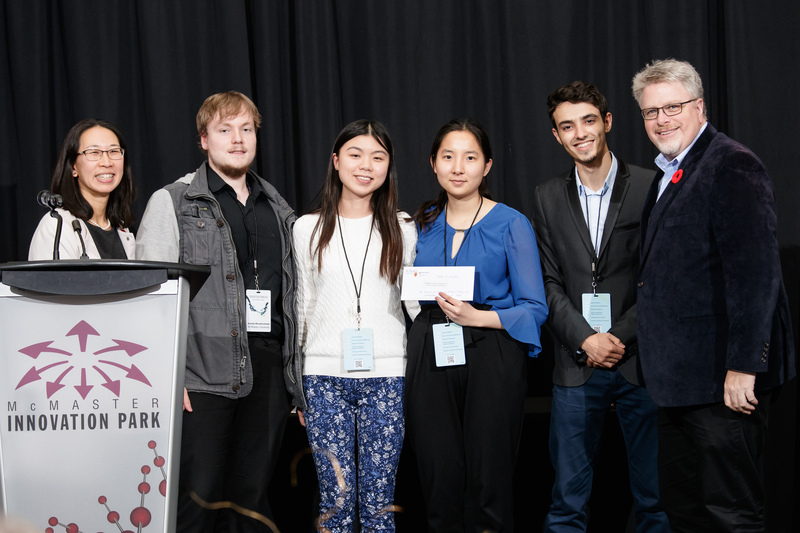 Congratulations to #TeamVirulence for winning the 2018 McMaster Innovation Showcase People’s Choice Poster Award for their poster entitled, “Examining the relationship between virulence and antimicrobial resistance via expansion of the Comprehensive Antibiotic Resistance Database (CARD)”! Left to right: Anatoly MiroshnichenkoHiu-Ki Rachel Tran, Sally Yue Min, and Rafik El Werfalli. #TeamVirulence also presented their work at the 2018 Michael G. DeGroote Institute for Infectious Disease Research (IIDR) Trainee Day!